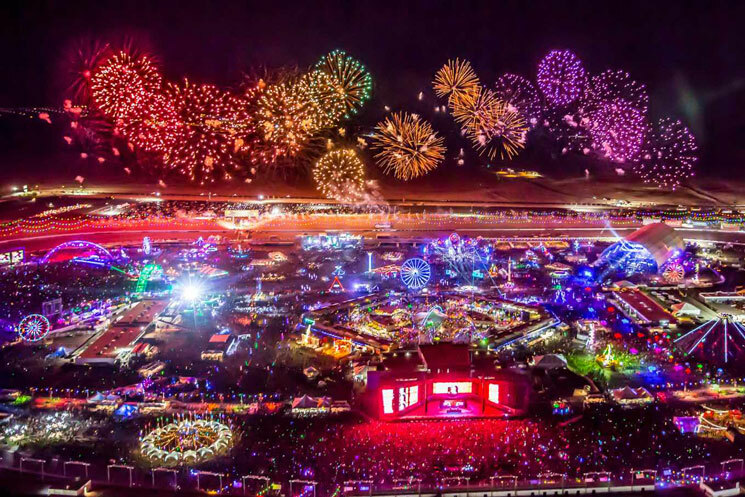 Red Bull TV's Season of Festivals is rolling right along with the inaugural broadcast of the Electric Daisy Carnival. Since its inception in the early '90s, EDC has become one of North America's premier EDM events, and the Las Vegas festival's 21st anniversary promises to be no different. Above & Beyond, Afrojack, Diplo, Armin van Buuren, Datsik, Dillon Franci, Duke Dumont, Excision, Flosstradamus, Galantis, Getter, Kygo, Major Lazer, Marshmello, Mija, RL Grime, Tiësto and more will be turning up the heat in Nevada from June 16 to June 18, and Exclaim! has partnered with Red Bull Canada to bring you every bit of the action from the comfort of your own home. Watch the live stream starting at 11:30 p.m. EDT on June 16 in the player below, where you can also find the full festival streaming schedule.